Join us at the 16th annual Sandia Snowshoe Race on January 26, 2019. We will again be part of the race sponsorship. sign up early at REI, as this classic will fill up. More info at Sandia Snowshoe. 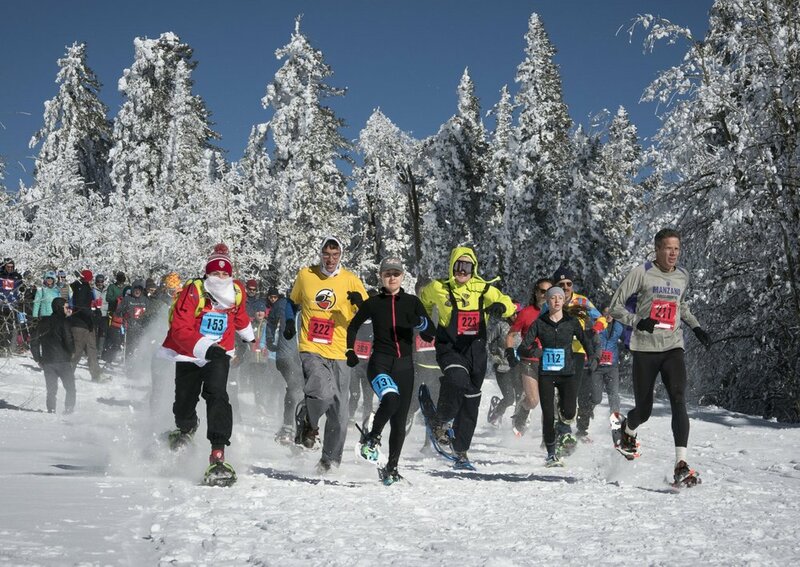 Sandia Snowshoe Race- We were again excited to be a race sponsor for the 15th Annual race. Due to poor weather conditions the race had to be cancelled. Please join us in 2019. Check out these photos from the 15th annual Sandia Snowshoe Race! At MST Adventures we enjoy a wide range of outdoor activities. So the next time your out on a hike take along a pair of binoculars and a bird book to see just what is happening with the changing season. After all the Christmas Bird Count is right around the way. Grab your board and gear and let’e meet at the river! Our Annual Ice Break Paddle will be March 17, 2019 at 10:00 am. This event is held through our MeetUp.com Page, go Check it out! See our full calendar of community Events!